My mother has a lemon tree. The tree is grown in a pot and it has been for quite a number of years now. In the cold months, the tree is moved into a sheltered room with poor lights and there it stays for the winter, not quite idle. The tree is packed full with organic aromatic lemons and when spring comes, the fruit ripens, the tree blossoms and it is moved back outside for the season. When you have such lemons, homegrown and fragrant with aromatic oils, you absolutely need to turn them into dishes, where the sour lemon shines. 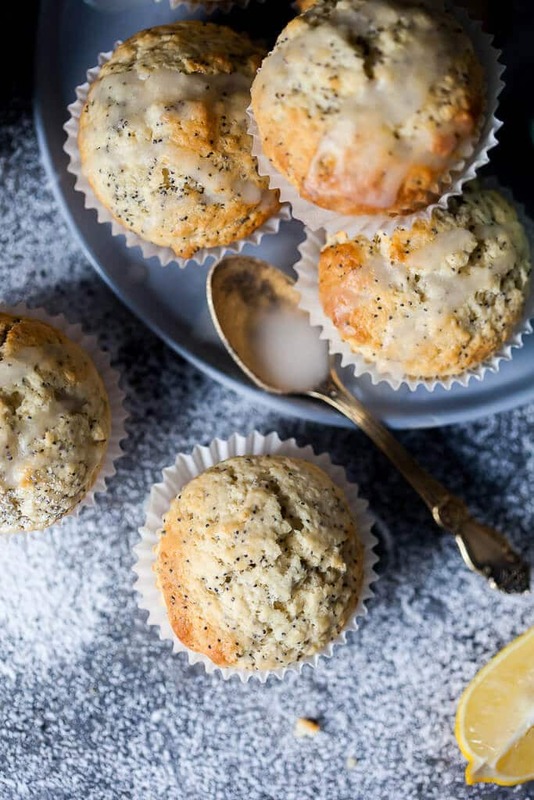 Anything better than these cute and simple Lemon Poppy Seed Muffins? Don’t think so! 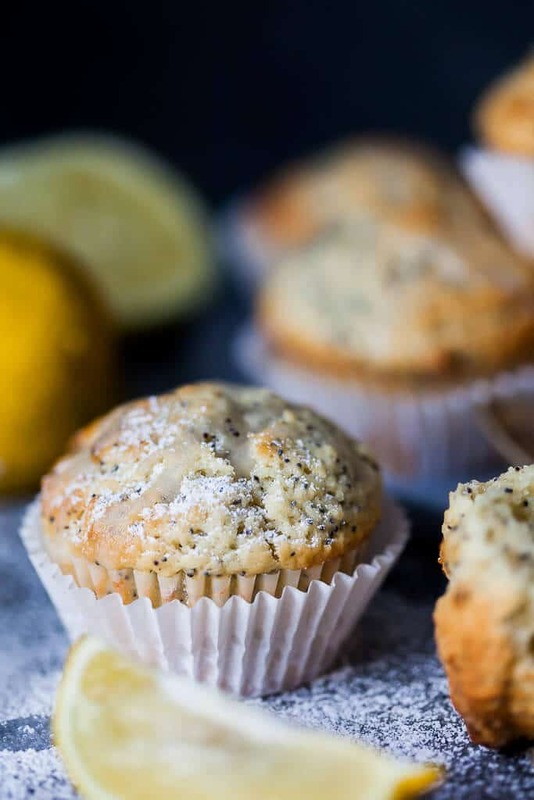 These beauties are put together in just a couple of minutes, baked to perfection, drizzled with a sugar and lemon icing and then ready to eat in no time! 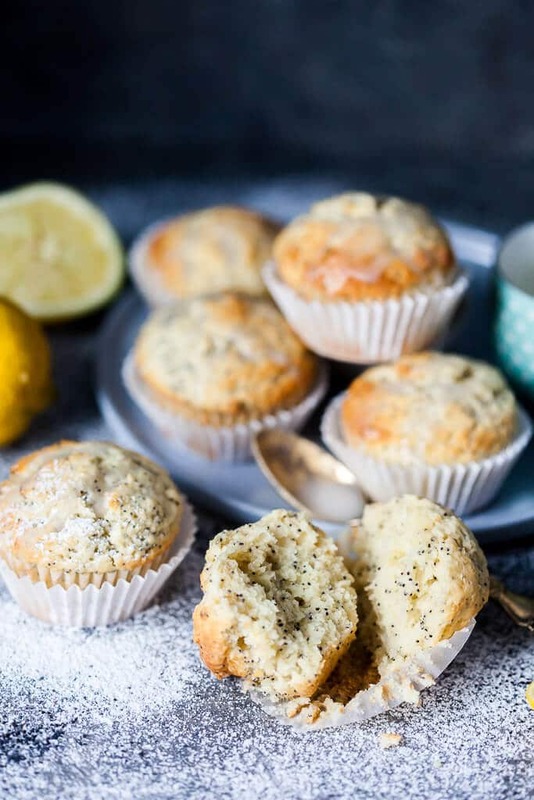 And if you don’t believe these muffins are extraordinary – just give them a go! 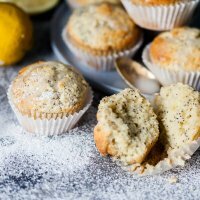 These Lemon Poppy Seed Muffins look simple but pack plenty of flavors, plus they are fluffy, light and delicious. Preheat oven to 180°C / 356°F. Line muffin tin with paper molds. In a bowl, combine dry ingredients: flour, baking powder and pinch of salt. Wash and dry lemon. Grate skin into a fine zest, then half the lemon and squeeze out the juice, removing any seeds. Divide eggs into yolks and egg whites. Whisk egg whites until they turn into a firm snow. Whisk yolks with 1/2 cup sugar, then add greek yogurt, vanilla essence and grated lemon zest. Add the yolk mixture to the flour mix and add 1/3 of the egg whites. Combine gently, then add poppy seeds and fold in the remaining egg whites. Pour mixture into the muffin molds, then put into the oven to bake for about 18 minutes, or until golden brown. When baked, remove from oven and set aside to cool. Mix together 1 cup confectioners' sugar with about 3 tbs of lemon juice or more, if needed. Drizzle the sugar icing on top of the muffins and let it set, then serve. I made these. The batter was extremely thick. The end muffin is dense. Is it possible that the ingredient list is missing something? Thank you. Hi Cindy, thanks for your feedback. So sorry to hear you had troubles. I checked the ingredients again and it all looks good. 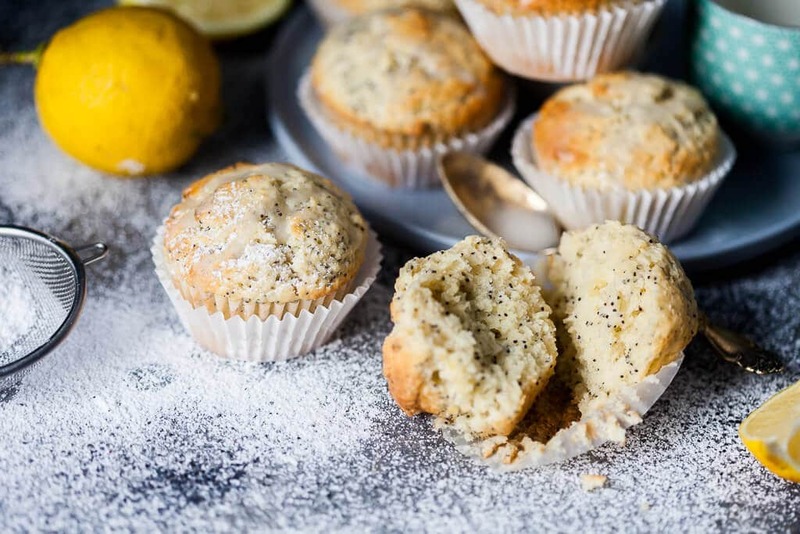 The batter should not be thick at all, and the muffins should be light and fluffy. The recipe calls for plenty wet ingredients. Are you sure you followed it exactly? What kind of flour did you use?